Want to explore beyond Dublin? 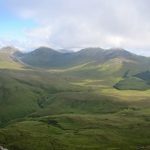 Outdoors lovers will find lots to be excited about in Ireland, with acres of wild and windswept countryside, idyllic villages and hair-raising coastal cliffs making up the country’s surprisingly varied scenery. From mesmerizing UNESCO World Heritage sites to unique vistas that beg to be photographed, here are 10 of the most beautiful places to visit in Ireland. Click the thumbnail images to see them full size. Images credits and links to original versions at foot of page. 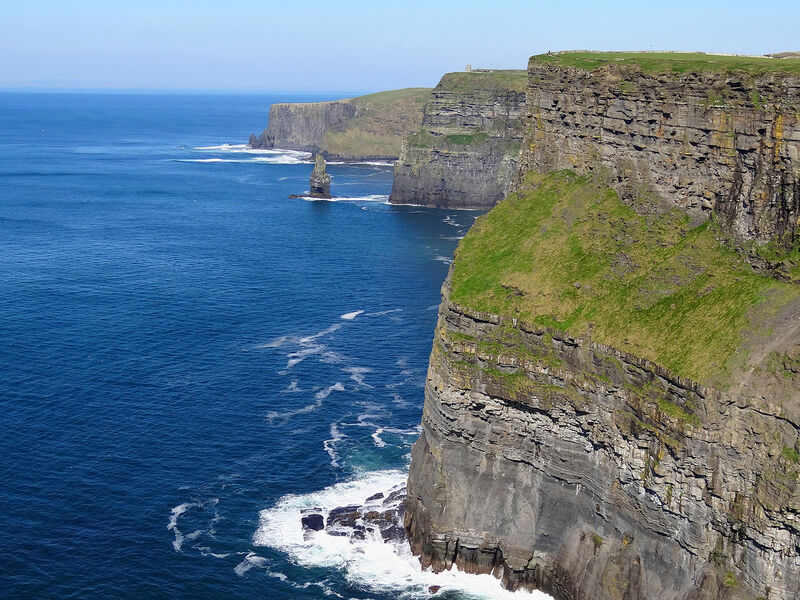 Ireland’s mighty Cliffs of Moher reign strong as one of the country’s most visited natural attractions – towering 214 metres over the Atlantic Ocean in western Ireland. 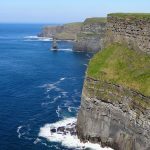 The iconic cliffs run from near the village of Doolin for around 8km to Hag’s Head in County Clare and host the country’s most spectacular coastal walk. Carved out by a gigantic river delta around 320 million years ago, the imposing cliffs also offer incredible views, stretching over Galway Bay, the distant Twelve Bens mountain range and the northern Maumturk Mountains. Ireland’s most scenic tourist trail, the Ring of Kerry, runs some 190km through some of southwestern Ireland’s most jaw-dropping landscapes. 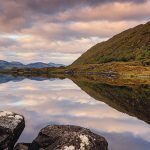 A patchwork of lush meadows, glacial lakes and heather-topped mountains, the Ring of Kerry includes highlights like the rugged Beara Peninsula and the Kerry Way – Ireland’s longest and oldest walking route. Stop off on route at the Killarney National Park, a UNESCO World Heritage biosphere reserve, home to the 15th-century Ross Castle and a herd of wild red deer. 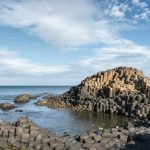 Northern Ireland’s only UNESCO World Heritage-listed site, the Giant’s Causeway is proof that Mother Nature provides the most dramatic tourist attractions. The natural wonder is comprised of around 40,000 polygonal basalt rock columns, formed by the ancient volcanic landscape and stretching along the coastline like a series of gigantic stepping stones. 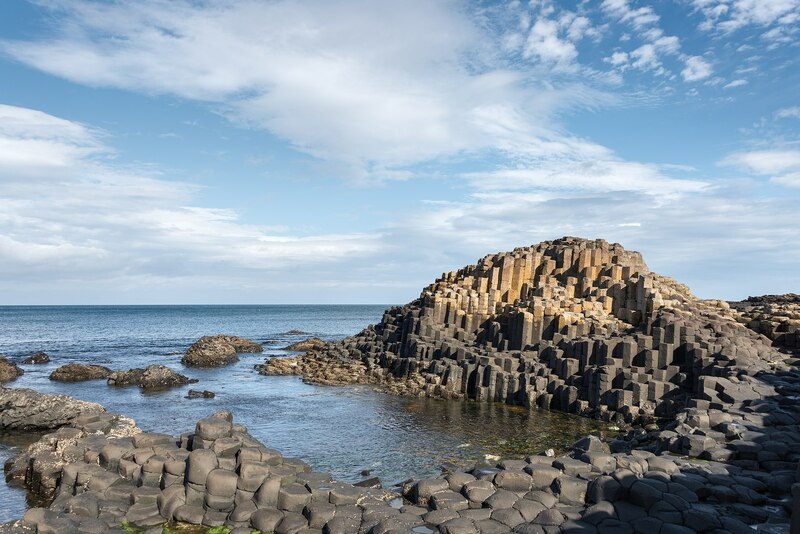 A Giant’s Causeway Day Trip from Belfast is one of the country’s most popular excursions, with visitors taking the unique opportunity to walk one of nature’s most peculiar pathways. 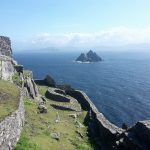 Ireland’s magnificent UNESCO World Heritage Skellig Islands make a worthy side trip from the popular Ring of Kerry tourist trail, a pair of small rocky mounds that rise up from the sea off the coast of Portmagee. 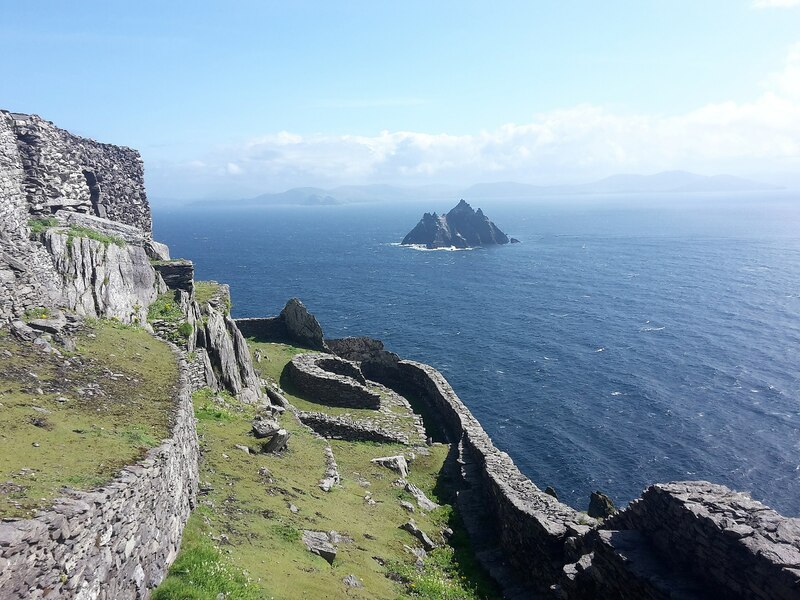 Not only are the two islands – Skellig Michael and Little Skellig – home to a fascinating 6th-century monastic complex perched on the 230-metre-high cliff top, but they also host an impressive array of birdlife. Look out for gannets, black guillemots, cormorants, razorbills and herring gulls as you climb the hair-raisingly steep 600-step climb to view the monastic remains. 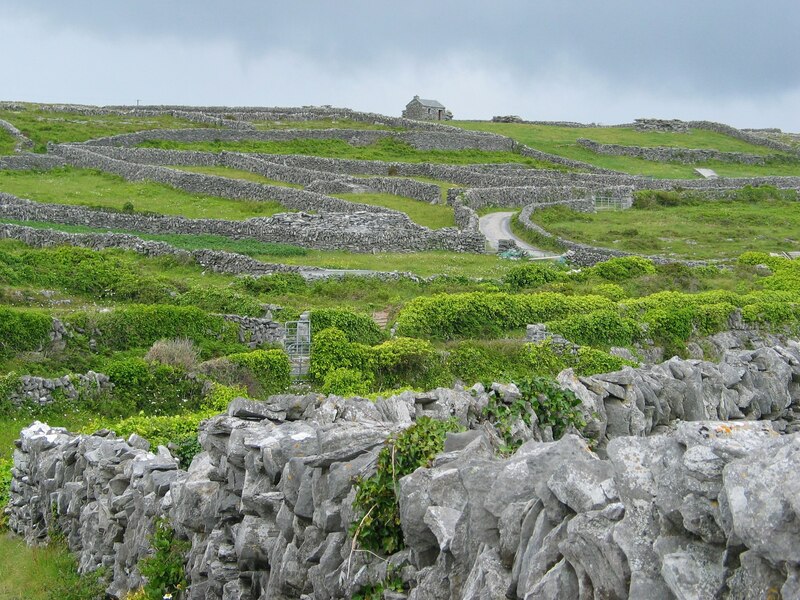 Famous for their traditional knitted ‘Aran sweaters’ and car-free roads, the Aran Islands are one of few places left where you can experience a traditional Irish village, unmarred by the modern developments of the mainland. 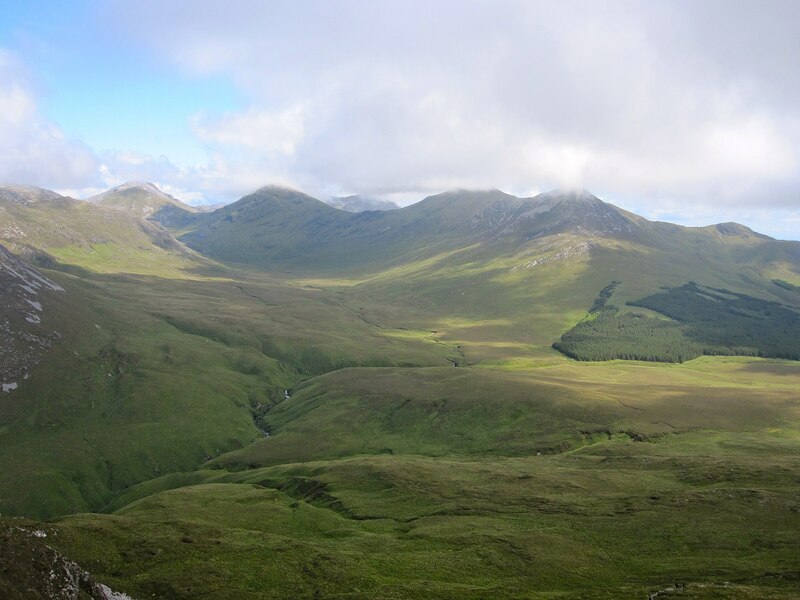 Here, many locals still speak Gaelic as their first language, live in small farming communities and drive pony traps. The countryside is equally enchanting – historic forts teetering on cliff tops, endless sandy beaches and miles of rugged coastline. 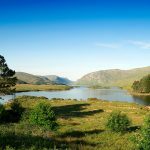 Ireland’s second-largest National Park at over 5500 hectares in area, Glenveagh is County Donegal’s number 1 attraction, drawing hikers and fishermen from all over the country. 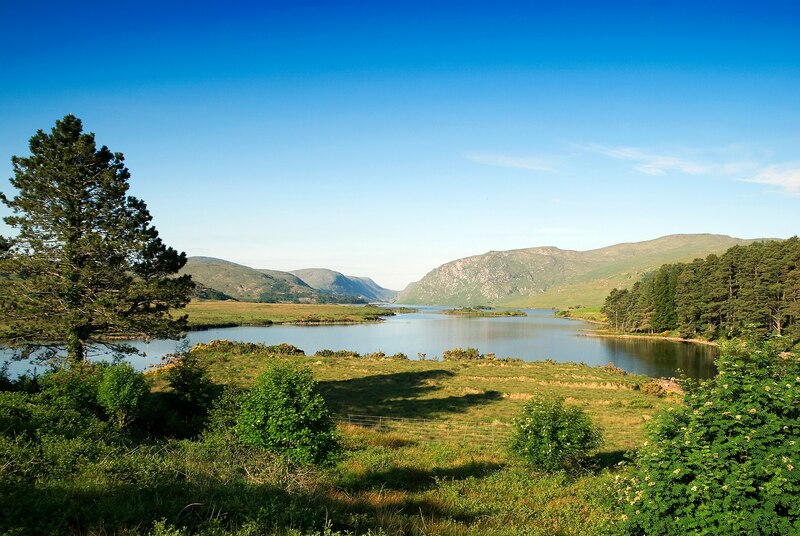 While you’re taking in the mountaintop views, enjoying afternoon tea in the 19th-century Glenveagh Castle or fishing for salmon and trout in the glittering lakes, keep a lookout for the park’s rare wildlife, including the formerly extinct Golden Eagle. 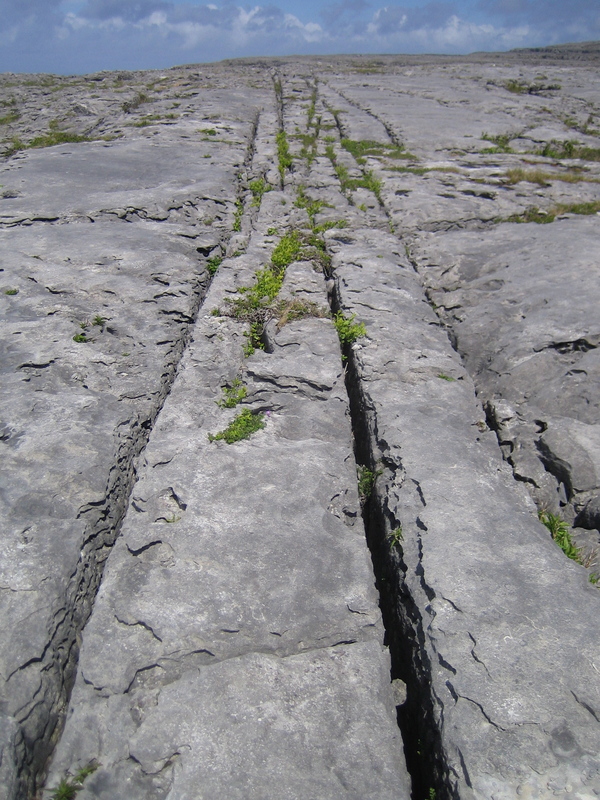 A mind-boggling landscape of ruts, fissures and rocky mounds, walking across the Burren has been likened to walking on the moon. 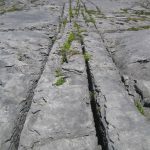 Sculpted through thousands of years of acid erosion, the karst landscape appears like a giant jigsaw of grikes (fissures) and clints, teetering 300 metres above the ocean on the coast of County Clare in western Ireland. Be sure to take a closer look as you trek over the rocks, too – the rocky terrain nurtures a surprising variety of rare plants and insects, with colourful wildflowers blooming between the cracks throughout the spring. 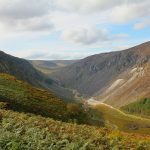 A popular day trip from Dublin, Glendalough, or the ‘Valley of Two Lakes’, is one of Ireland’s most prominent monastic sites, nestled in the heart of the Wicklow Mountains National Park. 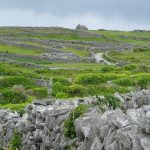 The 6th-century Christian settlement was founded by St Kevin and boasts a series of impressive remains set against a backdrop of picturesque Irish countryside. 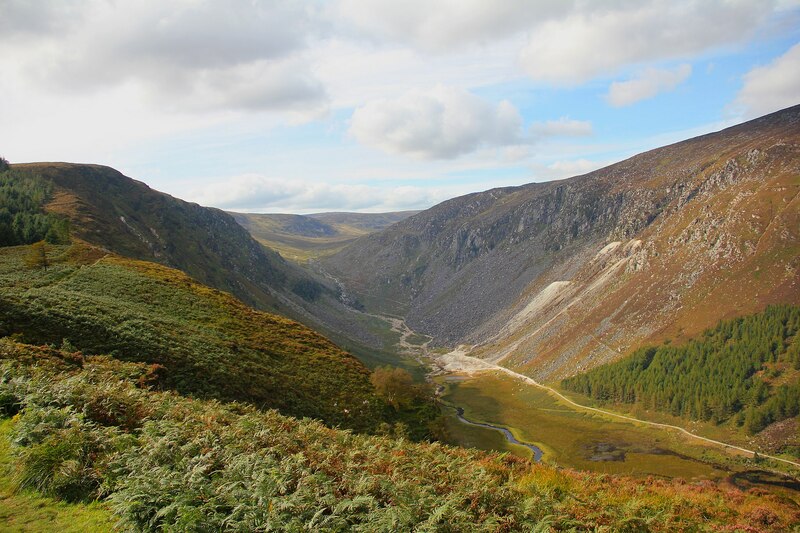 Nicknamed ‘The Garden of Ireland’, Wicklow is a nature lover’s paradise of rolling meadows, vast lakes and hillsides carpeted in purple heather. 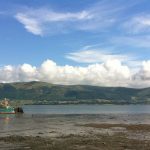 At the northeastern tip of Ireland, the remote Cooley Peninsula juts out into the Irish Sea just below the border of Northern Ireland and while the region remains largely free of tourists, there’s still plenty of stunning scenery to take in. 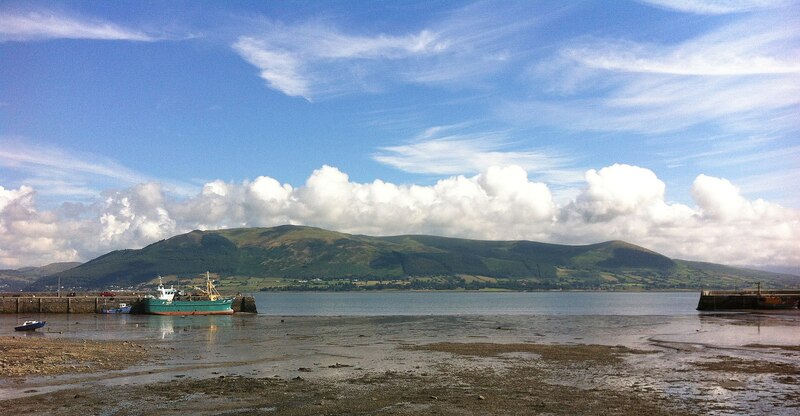 Enjoy the views from the forested Mourne Mountains, stop off at the charming medieval village of Carlingford and walk the windswept coastline in one of the country’s most rewarding off-the-beaten-track destinations. Cliffs of Moher: Bjørn Christian Tørrissen [CC BY-SA 3.0 ], via Wikimedia Commons; Ring of Kerry: Tony Webster [CC BY 2.0 ], via Wikimedia Commons; Giant’s Causeway: Giorgio Galeotti [CC BY 4.0 ], from Wikimedia Commons; Skellig Islands: Nicole Kediler [CC BY-SA 4.0 ], from Wikimedia Commons; Aran Islands: Sonja1982 [CC0], from Wikimedia Commons; Glenveagh National Park: Michal Osmenda [CC BY-SA 2.0 ], via Wikimedia Commons; The Burren: Pat Guiney [CC BY 2.0 ], via Wikimedia Commons; Connemara National Park: oiram [CC BY-SA 3.0 ], from Wikimedia Commons; Glendalough: J.-H. Janßen [GFDL or CC BY-SA 3.0 ], from Wikimedia Commons; Cooley Peninsula: Keith Ruffles [CC BY 3.0 ], via Wikimedia Commons.